Head over to MyLitter to see how to get Skippy peanut butter for as low as $2.07 each, shipped from Amazon. 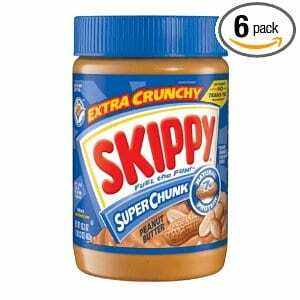 I just got the Skippy Peanut Butter Natural Super Chunk 15oz, pack of 6, for $12.72 (or $2.12 each). My Big Kids (from Small City) Made it on TV!